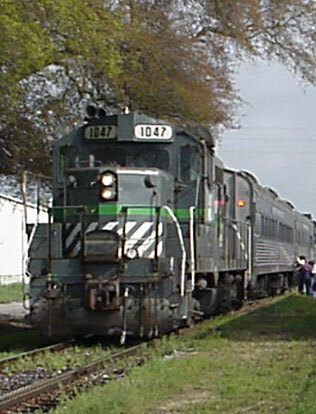 The Meridian Southern Railway is a 55 mile railroad in East Mississippi. We serve communities between Meridian and Waynesboro, Mississippi. We are a freight short line railroad utilizing five type B23-7 locomotives built by General Electric (GE).We employ 11 people to operate our railroad. Small enough to know you, large enough to serve you.